Cosmetic Dentist Sandy: Happy Holidays From Our Dental Team! 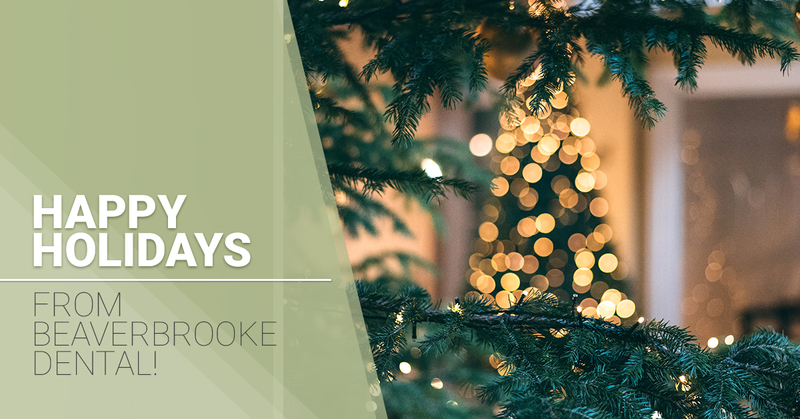 Happy Holidays From BeaverBrooke Dental! The holiday season truly is the most wonderful time of the year. For us, nothing beats spending time with loved ones, making memories, and, most importantly, being grateful for what we have. 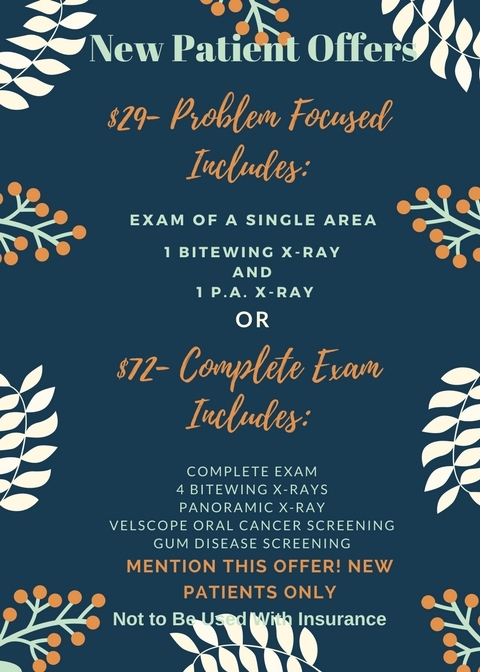 This is also a good time to schedule appointments you might have put off lately, from routine physicals to six-month cleanings. At BeaverBrooke Dental, we pride ourselves on creating beautiful smiles. With a friendly staff and welcoming environment, it’s no secret what makes BeaverBrooke one of the top rated dental practices in Sandy, OR. Keep reading to see how we can get your oral health back on track during the holidays. Be honest with yourself — do missing teeth keep you from smiling? Whether you have lost multiple teeth due to decay, gingivitis, or injury, you could be a candidate for dental implants. Not only will dental implants replace missing teeth, but they improve the appearance of your smile, prevent the natural erosion of your jawbone, and help maintain a more youthful facial bone structure. There’s no question that dental implants can be life-changing for patients in Sandy. Contact BeaverBrooke Dental to discuss your tooth replacement options. It’s amazing what straight teeth can do for a person’s confidence. At BeaverBrooke, we offer top-notch orthodontic care for both adults and kids. The combination of proven techniques, modern materials, and innovative design allows our braces to straighten and align teeth in about six months! The holiday season is a great time to schedule an initial orthodontic consultation. 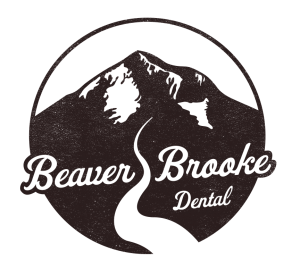 Reach out to BeaverBrooke Dental today! We often see patients who have chipped, discolored, or crooked teeth. Fortunately, if you’re one of these people, we have an effective long-term solution. Lumineers porcelain veneers are thin facings of ceramic that are bonded to the front of your teeth to create a beautiful smile. The veneers procedure itself is quick, simple, and pain-free. Our cosmetic dentist will ensure that your new tooth looks and feels natural. Schedule an appointment today to see if veneers are right for you. Try as you might, your teeth will become discolored or stained to some degree. Rather than throw money away on over-the-counter teeth whitening kits, why not consider professional teeth whitening from an experienced cosmetic dentist? At BeaverBrooke Dental, patients notice a significant improvement in the color and brightness of their teeth within just 10 days! We want to help you show off those pearly whites like never before. Contact BeaverBrooke to book your teeth whitening appointment. We’re willing to bet your schedule is packed these next few weeks. Whether it’s getting the house ready for guests or finding last-second gifts, there probably isn’t much free time until the New Year. But just because you’re busy doesn’t mean you should put off your oral health. Patients are always our No. 1 priority here at BeaverBrooke Dental. In fact, our office is open until 6 p.m. Monday, Tuesday, and Wednesday. We even have a savings plan if you’re at all concerned about being able to afford your dental care! From all of us here at BeaverBrooke Dental, have a safe and happy holiday season!